If a tree is a poem, then a walk through Bangalore’s streets is sheer poetry. I have often mentioned how much I love the city’s big old trees which line the roads, providing shade and beautiful bursts of colour in every season. 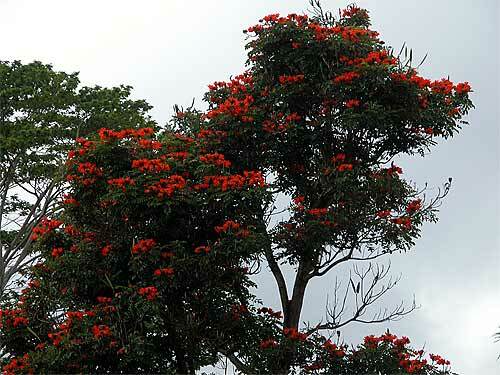 In my previous posts, I have described some of the city’s most familiar trees like the Banyan, Tabebuia, Canaga, Rain Tree and Gulmohar. A Tabebia in full bloom. An article in this morning’s paper featured some of the other trees familiar to Bangalore. 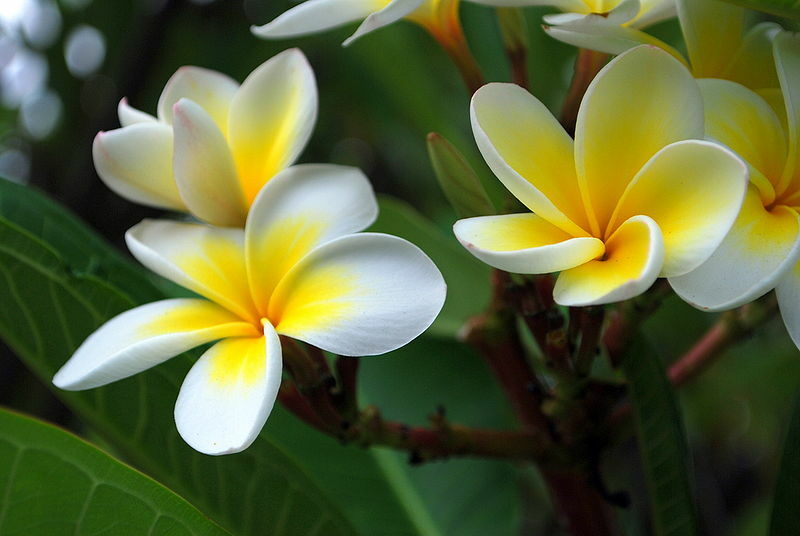 I was interested to learn that many of these trees are not indigenous to India. The beautiful Jacaranda is a tree from Brazil, the Tabebuia hails from South America, the African tulip is West African and the Pink Cassia comes from Burma. Bangalore’s tree population is truly multicultural! It’s no wonder Bangalore is known as the garden city. But many people feel that with rapid urban development, this romantic nickname has become obsolete. Indeed, many trees have been chopped down to make way for new buildings, wider roads and the metro project. It was heartbreaking to see Racecourse Road stripped bare of it’s huge ancient trees so that it could be widened and the disappearing trees on a stretch of CMH Road where work on the metro is in progress. 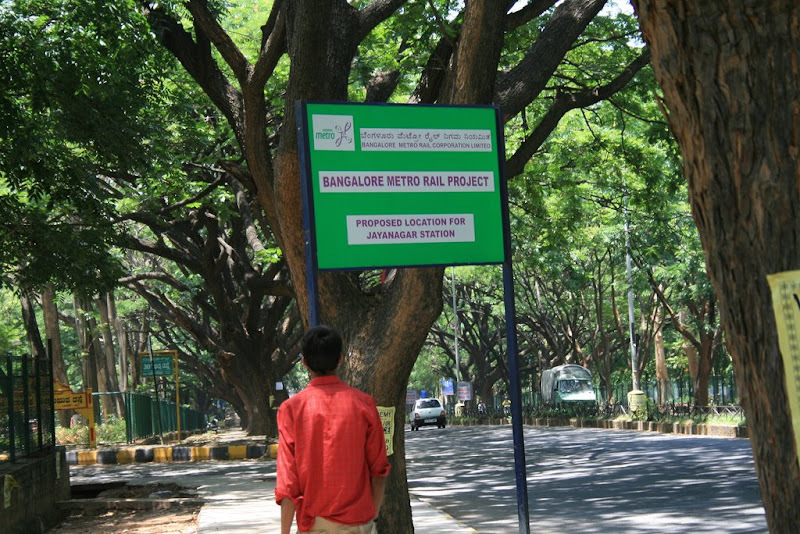 These trees are threatened by the metro project. Instead of moaning about the past, people should take a moment to consider the present and take action for the future. 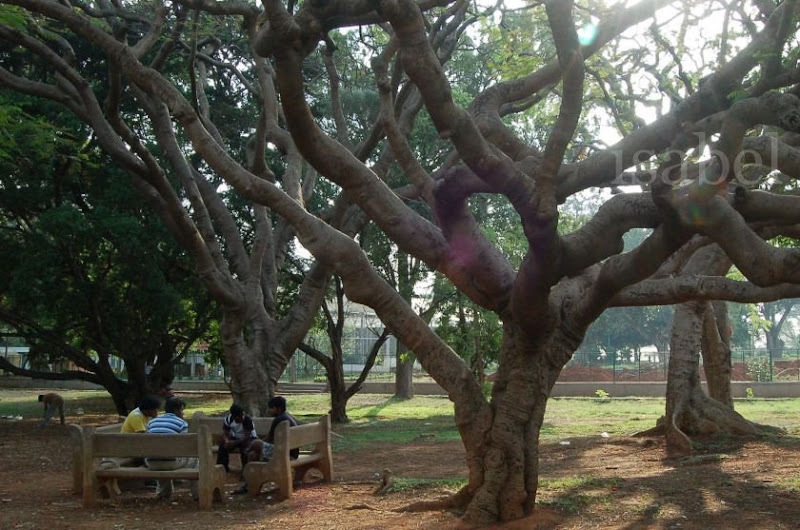 Bangalore is still a pleasant garden city full of parks and tree-lined streets. There are people who prefer to take action rather than complain about a past which will not come back. 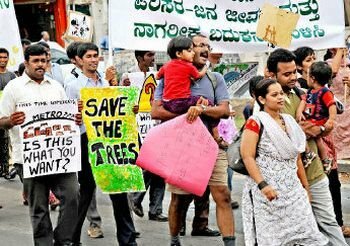 In the past few months there have been a series of demonstrations and actions aiming to save trees by organisations like Hasiru Usiru (which means ‘green breath’ in Kannada). Trees for Free has initiated tree-planting campaigns. Would you like to have a tree in front of your house? Contact them and they'll come and plant a tree 'for free'. Wouldn't a city without trees be like life without poetry? Tree are life sustaining is urban areas and add immeasurable beauty. A walk along a tree-lines street or lake is so transforming. Thanks for this beautiful paean to the trees of Bangalore! Unfortunately, the 'progress' of Bangalore is sounding a death knell for the lovely old trees. I love reading your blog as it keeps me connected to the city where I grew up and can now visit only occasionally. BTW, I found your blog through Indiamike. 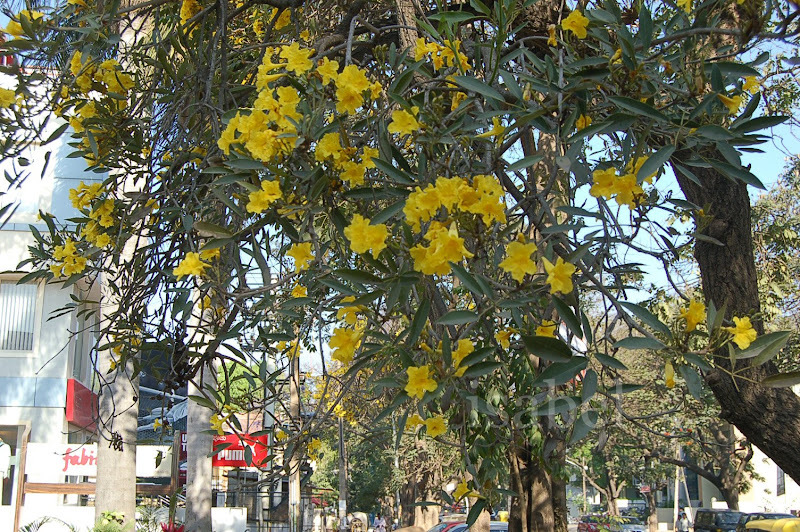 Thanks for your posting on the trees of Bangalore. This weekend I visited Lalbagh twice and the trees there (and throughout Bangalore) have impressed me greatly. I posted some pictures from my Lalbagh visits to Flickr at http://www.flickr.com/photos/80916432@N00/sets/72157624987648524/with/5004299446/ and I included a link to your blog post in one of my picture captions. Thanks, Blair from California.